Our transmission shop has a fully qualified and highly trained staff. We have been operating in Fort Myers FL since 1996. Our assistance is available for both residential and commercial clients, and the services we offer come at very competitive and reasonable prices. At our transmission shop, we only work with world class quality equipment, as well as top notch gear and tools. As a team of skilled professionals, we are fully licensed and insured, and during our years of loyal service, we have gained the trust and respect of the local community. At Joe's Transmission and A/C Center, we always stand behind our work. 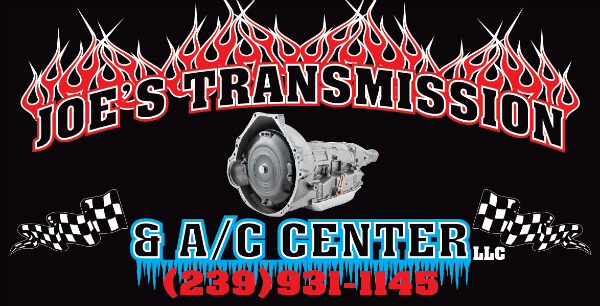 Our company provides a 1 year – 12, 000 mile warranty on each transmission repair we perform. You can safely rely on us to handle all repairs and maintenance that your vehicle requires! Our services are available for clients from Fort Myers FL, as well as the Lee, Collier and Charlotte Counties. If you want a skilled professional working on your vehicle and provide you with cutting edge services and lasting results, we are the right transmission shop for you! 6200 Arc Way #6, Fort Myers, FL 33966 ... Tap on the map once to enable zooming.